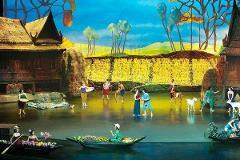 Spend half a day getting intimately close with rural Thai life. 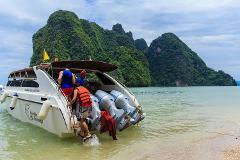 Ride an elephant through the jungle, watch a live animal performance, meet with a local farmer, see a spicy curry demonstration, marvel at kickboxing, get your feet treated by fish, and paddle down the Moo Dong River in a canoe. 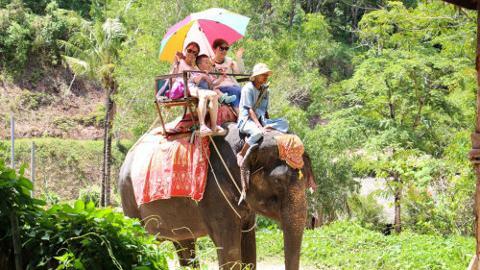 Get picked up from your hotel in Phuket and head into the jungle to ride an elephant through the dense foliage to a mountain viewpoint. Next, sit back for a lively performance from elephants, monkeys, and gibbons. 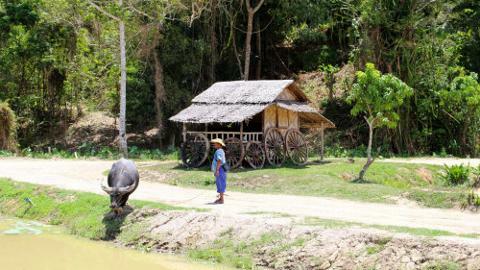 Meet a farmer at his traditional home and see how rice is harvested with a water buffalo. 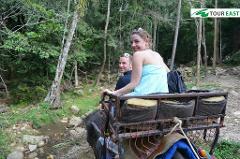 Ride through rice fields and a tropical fruit plantation aboard an ox-cart. Get your taste buds ready to try a sample of spicy Thai curry, and then watch as the high-intensity sport of Thai kickboxing is performed before your eyes. Next, get the skin of your feet treated by a pool of tiny fish, before boarding a canoe to row down the Moo Dong River in search of beautiful mangrove forests. 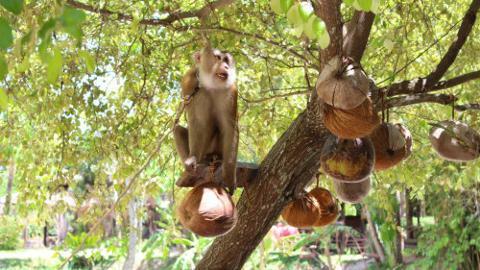 Drive deeper into tropical jungles and other rural areas before returning to your Phuket hotel. Children 3 and younger are complimentary when accompanied by a paying adult. 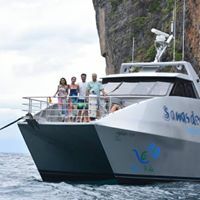 Children 11 and younger must be accompanied by a paying adult. If you have back, neck, lower back, joint, or muscular problems, you should carefully consider whether to participate. 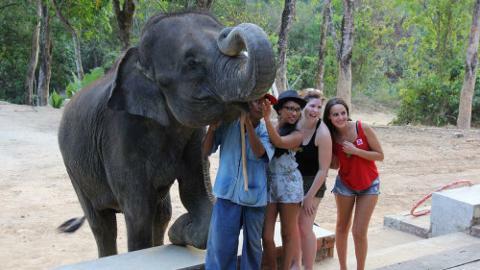 Infants and pregnant women are not permitted to ride elephants. At least 2 people are required for this activity to take place. 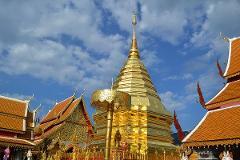 Hotel pickup is available from most centrally located Phuket hotels. Please arrange pickup from your hotel or a nearby location when you call to confirm your reservation.